Azimut Yachts and Atlantis today announced they expanded the relationship with MarineMax Inc. (NYSE: HZO), the world’s largest recreational boat and yacht retailer, in areas such as the Midwest, including Ohio, Michigan and Illinois, Texas, the northern Gulf Coast, and the West Coast of the United States. Azimut Yachts and Atlantis are part of the Azimut-Benetti Group, the largest yacht manufacturer in the world and the world's leading private group in the luxury boating sector. Azimut manufactures luxury cruising models ranging from 40’ through 100’. A showcase of Italian luxurious design and powerful performance. Azimut and Atlantis yachts are known for their stunning lines, luxurious appointments and dockside elegance. The Group has the most extensive sales network in the boating industry worldwide and with this geographic expansion, MarineMax is now the exclusive Azimut dealer for the entire United States except for Florida where the Atlantis brand is distributed by YBM International. A prestigious award of Altagamma Foundation and two nominations for the European Powerboat of the Year 2013 Award confirm once again the excellence of the Italian shipyard. The Azimut Benetti Group was nominated Best Performer in the digital world 2012, according to the study carried out by the Digital Luxury Index of the authoritative Altagamma Foundation. This acknowledgment is for "the exemplary work carried out in digital communication, from the corporate website to the presence on Facebook, Twitter and Youtube". The study analyses online performances of about 300 Italian and International luxury brands in different business categories on the basis of more than 70 key indicators. And that’s not all this Autumn. Moving from surfing the net to traditional communication, Azimut Yachts and Atlantis obtained two nominations in the European Powerboat of the Year 2013 Award (EPY 2013) for Atlantis 34 and for Azimut Magellano 43 Fly, nominations announced just on the occasion of the 52nd Genoa Boat Show. The European Powerboat Award was conceived by the German boat magazine "Boote", in collaboration with other outstanding international trade magazines. medium term totally foreseeable. The new service in the financial field instead concerns yachts from the Azimut Benetti Group up to 20 metres. This is a leasing with reduced instalments offered in partnership with a leading leasing company. This proposal is similar to a traditional marine leasing contract, but foresees the option of a final larger payment and, as a consequence, reduced monthly instalments. One of the longest established boat builders in the UK, Broom Boats, has announced it has selected Raymarine as its supplier of marine electronics, navigation, communications and safety equipment for its range of innovative, hand-crafted motor boats. Based in Brundall in Norfolk, Broom has been building high quality coupe and aft cabin cruisers for over 100 years. Designed originally as inland boats to suit the area’s extensive rivers and waterways, the company’s location close to the East Coast meant that Broom Boats soon established a reputation for designing and building sea worthy boats, renowned for being safe and comfortable during long sea passages. With its range still suited for both inland use and offshore cruising, Broom Boats was looking for an equipment supplier with a range suited to all their boats, including retro-fitting onto older and smaller Broom craft. Greg Houlston, Sales and Commercial Manager at Broom Boats says the company worked closely with Raymarine’s UK Sales Manager Harry Heasman prior to signing the agreement to appoint Raymarine. New Broom Boats including the 395, 430 and top of the range 525 will be fully equipped with an integrated suite of Raymarine products. This includes the new e Series multifunction displays, with the recently launched i40 instruments being fitted as standard on most of the smaller models. On the larger Broom boats, the range of Raymarine equipment offered to the boat owner will include thermal night vision cameras enabling boaters to see even in complete darkness, HD Color and SHD Color radars, sonar, VHF DSC radios, and AIS transceivers. For those wanting to use their boat for angling, Raymarine’s CP450C Sonar with ClearPulseTM and CHIRP technology offers a state-of-the-art sonar module with phenomenal fish detection, clarity and depth performance. Jester Communications (Jestercom), the developer of award-winning mobile apps for the marine industry, has developed a custom app for the Chaparral and Robalo boat brands. The app, which runs on the Apple iPad platform, provides a powerful tool for boatbuilders to communicate with their dealers and for dealers to manage leads and sales with their customers. Using the Jestercom Application Management System, the dealership can synchronize and manage leads end-to-end through the selling process. They can create customized brochures and videos, walk the customer through boat-by-boat selections, produce detailed comparison charts against competitive products, calculate finance terms and sell add-ons. The app manages all communication between dealer and customer with online chat sessions as well as social feeds via Facebook, Twitter and Owners Clubs. 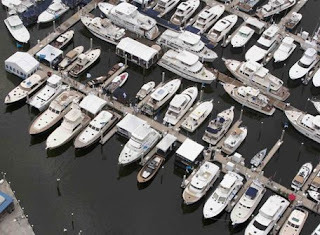 In addition, the app permits the boatbuilder to manage what information goes to which dealers, see analytics on how dealers are using the app and how the app is having the most impact for end customers and synchronize leads across the dealer network. It also provides a mechanism for distributing brochures, videos, logos, images and other marketing materials to dealers, as well as product alerts and service bulletins. Jestercom apps have been honored with numerous industry awards, including the National Marine Manufacturers Association Innovation Award, Marine Marketers of America Neptune Award and National Favorite Website Award. One year after beating the record on the Monte Carlo Venice route the “FB Design”, another boat designed by Fabio Buzzi and powered by two FPT Industrial C90 650 engines, breaks a new record on the New York to Bermuda route. Exploiting a narrow and closing weather window, the boat covered the nearly 670 nautical miles in just 17 hours and 6 minutes, at an average speed of 39,49 knots, thus shattering by 4 hours and 33 minutes the previous record set last August by Chris Fertig and Tyson Garvin with the Statement Marine boat powered by two Cummins MerCruiser Diesel TDI engines. Fabio Buzzi, many times over world champion, titleholder of several water speed records and yacht designer, has led to victory his crew, consisting of: Roberto Rizzo, Antonio Binda, Maurizio Bulleri ed Emilio Riganti. The National Marine Manufacturers Association (NMMA) recently recognized recipients of the 2012 Marine Industry CSI Awards for the award period from April 2011 through March 2012, and Formula received an award in two categories: Sterndrive Bowrider, and Sterndrive Cuddy and Express Boats. NMMA gathers this information based off of customer ratings, which makes the CSI award even that much greater to receive. Grand Banks Yachts is proud to announce we have received the Editor's Choice award for Best Down East Boat in the 55-65 foot category for the all-new 55 Eastbay FB. The AIM Marine Group presented the award to Grand Banks at their awards ceremony Friday night. A handful of Grand Banks employees were on hand to celebrate this accomplishment and receive the award. The only way to top the largest and most luxurious model in the Eastbay fleet was to add an equally spacious and gracious flybridge. With wide-open spaces and commanding views, the 55's flybridge features a large L-settee surrounding a handmade teak table with a single Stidd helm on the centerline. To learn more about the 55FB, visit our website or contact your local dealership for specifications, layout options and any additional information. Grand Banks is offering VesselVanguard as the yacht management solution for GB owners. Every new Grand Banks comes with a one-year subscription to VesselVanguard, with a complete set-up of the custom boat profile for your yacht and its equipment, including aftermarket installations. Owners of older models can purchase a subscription for their GB at a discounted rate. Grand Banks welcomes Pen-Marine as our new Authorized Dealer in Malaysia. Since 1988, Pen-Marine has played a key role there in the development of pleasure boating, and we're proud to add them to our growing dealer network. In mainland China, Grand Banks will now be represented by Ocean Alexander sales offices in Shanghai and Sanya, while GB Australia will represent OA at our Gold Coast location. Over the last few days, the Ferretti Group one of the leading world players in the design, construction and sale of motor yachts, with a unique portfolio of prestigious brands - hosted an important delegation made up of the highest-ranking authorities of the city of Qingdao (Shandong Province, China) in its boatyards in Ancona, Mondolfo and La Spezia. More specifically, the delegation made up of Zhang Xinqi (Governor of Qingdao), Liu Mingjun (Deputy Governor of Qingdao), Sun Hengqin (Director of the Qingdao Economic and Technical Developing Zone), Yu Dajiang, (CEO of SASAC - State-owned Assets Supervision and Administration Commission of the State Council), Li Zhongmin (Secretary General of the Qingdao Governorate), Zhu Peiji (Director of the Qingdao Commission for Development and Reforms), and Liu Xiao (China Everbright Limited) - visited the Ferretti Group’s boatyards accompanied by Xu Xinyu (Deputy Chairman of the Ferretti Group), Wang Tao (Chairman’s Office Coordinator), Qian Cheng (Deputy Chairman of Weichai Power), Chen Zengming (Strategic Development Director at Weichai Power), as well as Lamberto Tacoli (CRN’s Chairman and CEO), Mauro Frattesi (Chief Technical Officer of the Ferretti Group and Chairman and CEO of Ferretti Group Asia Pacific Ltd), as well as by leading representatives of the Ferretti Group’s Top Management. The main objective of this visit by Qingdao's highest authorities was to learn more and see for themselves the absolute excellence and unrivalled quality of the Ferretti Group’s boatyards, capable of producing yachts that are the true embodiment of craftsmanship and technological innovation - the key elements that have made the Group a real icon of Made-in-Italy products all over the world. In particular, the delegation was able to step onboard two of CRN’s mega-yachts currently under construction in Ancona – M/Y CRN 125 and M/Y CRN 129 - and then to visit two more production sites of the Group’s, the boatyard in Mondolfo and the one in La Spezia. This visit has a strategic importance for the Ferretti Group, which is aiming to further strengthen its activities in the entire Asia-Pacific region following the strategic partnership established with its new majority shareholder, the Weichai Group – currently one of the main non-European investors in Europe, whose operations last year amounted to approximately € 1,142 billion - and the Letter of Intent recently signed with the Industrial and Commercial Bank of China (ICBC), the leading Chinese bank and the number-one bank in the world in terms of Stock-Exchange capitalisation. In more general terms, this visit is part of the increasingly closer cooperation that many Italian regions are establishing with China, so as to take the opportunities offered by the fast growth that has been taking place and is expected to take place of the next few years in the Asian country. The value of the Chinese boating sector alone, for instance, currently amounts to € 1.5 billion, and is expected to reach €3 billion by 2015 and € 9.2 billion by 2002 (Lucintel Forects 2012 – 2017). The Ferretti Group, a world leader in the design, construction and sale of motoryachts, encompassing a unique portfolio of some of the most exclusive and prestigious brands in the nautical world, announces the signing of a Memorandum of Understanding with Industrial and Commercial Bank of China (ICBC), the first Chinese credit institute and the major bank worldwide as for market capitalization. This agreement, beside guaranteeing to Ferretti Group a financial support to the medium-long term growth projects, envisages the start up of a strategic partnership which will allow to all the customers of the Group to take advantage of the ICBC guarantee in the purchase process of a new motoryachts. This agreement, the first of this kind ever signed in the nautical sector between an Italian company and a Chinese bank, is of major importance, since it represents the farsighted choice made by the Ferretti Group in setting a partnership with its new majority shareholder, Weichai Group, one of the main foreign investors in Italy. Weichai Group boosted this agreement, representing a fundamental guarantee of greater strengthening and stability in such a complex moment from the macro-economic and access to credit points of view. ICBC has already granted to the Ferretti Group more than 200 million euro credit lines.This recently signed agreement aims at further guarantee and support the growth of the Group, which can confirm its expansion projects at a global level thanks to the support of Wheichai and to its new financial soundness. The Ferretti Group, a world leader in the design, construction and sale of motor-yachts, comprising a unique portfolio of some of the most exclusive and prestigious brands in the nautical world, presents its new corporate operating structure, focused on a stronger localized sales and distribution presence in key markets with the integration of the North America and Latin American markets and a stronger presence at the 53rd Annual Fort Lauderdale International Boat Show. Throughout the last 12 months, the Group has undergone a series of notable accomplishments, including a new shareholding structure, a new organizational structure and another record sales year for the American markets. Through the new strategic partnership with the Weichai Group, which acquired a controlling interest in the Ferretti Group, and under the leadership of newly appointed Chief Executive Officer, Ferruccio Rossi, the Group has reorganized the corporate operating structure with a focus on further strengthening the Group’s unique brands and its centralized product development and engineering capabilities. The new organization will focus on the distinctive individuality of the brands with the product development, manufacturing and brand management teams in Italy focused on the ‘made in Italy’ tradition. This new directive will also implement a more globalized sales, marketing, and service footprint with a localized operating presence in each region, specifically Europe Middle East & Africa (EMEA), the Americas and Asia-Pacific (APAC). The result of this new corporate structure will be a ‘Glocal’ approach combining the world’s most extensive and diversified product and brand offering, designed and built by the Ferretti Group in Italy, and in America for Bertram, with a localized distribution and service network in each region. The Group also announced that Founder, Norberto Ferretti, will remain strongly vested in the Ferretti Group, serving as Honorary Chairman, where he will actively participate in guiding and advising the product development and engineering teams in new model development. Mr. Ferretti will also continue his role as an advisor to the Chief Executive Officer and as an ambassador to the group representing the organization and its brands. In alignment with its strategic goals, the Ferretti Group recently announced a new operating structure where several key executives will take on new roles and responsibilities. 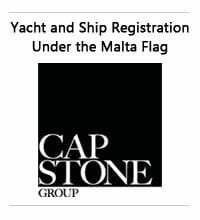 Consistent with the Group’s strategy to strengthen the international presence of CRN in the super yacht sector, Lamberto Tacoli will concentrate on leading the CRN organization as Chairman and Chief Executive Officer of CRN with full responsibility for the management and operations of the CRN business. Mauro Frattesi will continue in his role as Chief Technical Officer for the Group and will also oversee the development and management of the Group in the Asia-Pacific region as President and Chief Executive Officer of Asia-Pacific. Andrea Frabetti will take on a new role leading Advanced Yacht Technology Design, the naval research and design center for the Ferretti Group. In line with efforts to further strengthen the Group’s Brands, James Henderson has been appointed as Chief Marketing Officer and Antonio Campagnuolo has been appointed as Head of Product Management, where he will lead a team of specialists for each brand that are responsible for driving and implementing new product development, configuration and specifications for each model. The Ferretti Group continues to build on its success in the Americas where the Group completed a record year of sales in the American market for the second consecutive year. The successful operating model in North America will be used as a benchmark for the Europe and Asia-Pacific region with centrally localized inventory and a team of local sales specialists for each brand as part of the sales organization. Complementing the existing offices at Ferretti Group America, the Group will also be launching a brand new retail concept showroom in Palm Beach on Worth Avenue this November. The Latin American markets continue to be a strong growth region for the Ferretti Group. The Group is focused on expanding the distribution infrastructure and developing new clients in key Latin America markets including Brazil, Mexico, Venezuela, Panama, Dominican Republic and Colombia while fostering new interest for luxury yachts in Peru, Uruguay, and Argentina. Over the last 18 months the Ferretti Group has invested a significant amount of resources into the re-launch of Bertram Yacht, the iconic sport fishing brand. This has comprised of relocating the Bertram manufacturing operations to a new state of the art production facility in Merritt Island, Florida and strengthening the Bertram management team with key hires of top industry talent in product development, engineering, manufacturing, sales and operations. The Ferretti Group will continue to implement its strategy for Allied Marine, which will concentrate exclusively on brokerage of pre-owned yachts and charter operations and is currently exploring the opportunity to expand the brokerage and charter arm into Europe and the Asia Pacific region. Entirely owned by Heesen Yachts since 2000, the interior building company Oortgiese was re-christened Heesen Yachts Interiors on August 31st 2012 to bring it in line with the simplification of the Heesen Group’s companies’ names. Jan Rademaker, Director of Heesen Yachts Interiors, is pleased with the re-brand. Founded in 1940 in Winterswijk in the most eastern part of the province of Gelderland, the Netherlands by the Oortgiese family, the business quickly became one of the most respected and appreciated wood workshops in Holland. Heesen Yachts Interiors (formerly Oortgiese) have installed elaborate interiors and many precious pieces of furniture aboard Heesen Yachts vessels for over twenty-five years. With a work-force of some 100 skilled employees operating the latest machinery and using the best woods and veneers available on the market, Heesen Yachts Interiors delivers the finest state-of-the-art wood-work. Heesen Yachts Interiors is constantly investing in forging the next generation of fine carpenters offering apprenticeships at their facility where young trainees are guided by skilled craftsmen to learn the art of wood carving and working. Heesen Yachts is one of just a handful of yacht builders who boast their own in-house furniture makers: by working closely side-by-side with the ship-builders, the projects can evolve as seamlessly as the beautiful cabinetry that graces each Heesen yacht. It also ensures that Heesen Yachts continues to meet its deadlines, as Fabio Ermetto, Director Sales aand Marketing, explains. Horizon is dedicated to promoting marine activity in the Chinese yachting market, encouraging more clients to engage in boating and water sports activities - recently, Horizon cooperated with the ASA sailing school from Aletheia University in Taiwan to create a "Horizon Yacht" sailing team. The newly-formed Horizon sailing team attended the Eight China Club Challenge Match from October 1st -7th and was awarded sixth place among the 27 teams who participated in this year's match. During the first three days of the match, 27 teams were divided into Group A & Group B for a fleet racing competition, and each team needed to complete three round matches per day. After nine rounds of fleet racing, the Horizon Yacht team gained the number three position within the Top 16 teams who progressed in the competition. With the fleet racing complete, the Top 16 teams moved onto Day 4 with match races and strived for high ranking within the Top 8 teams. Using sailboats supplied by the organizer, the Horizon Yacht team advanced their position in the Top 8 during this second phase of the contest, and by the end of the third phase (and after much hard work!) the Horizon team was awarded the sixth place medal. We are extremely pleased with the Horizon Yacht sailing team's debut performance at the 2012 China Club Challenge Match and look forward to continue promotions of both the Horizon brand and the yachting lifestyle in the Chinese market. The Horizon Group has evolved its yacht virtual tours for an enhanced online experience of it's luxury yacht collection. Recently launched are tours for the Horizon P105 and E88 motoryachts, which combine with existing virtual tours for the EP148, RP120, RP97, E84, EP77 and E56 to offer an in-depth look at some of Horizon's current models offered. You can view the virtual tours through the Horizon website; when visiting the Model Series page, choose the series and the specific yacht you want to view, then click on the virtual tour button at the top of the page to begin your tour. These new virtual tours provide a full screen that allows you to view the yacht as if you were on board. You may also move through different areas of the yacht by clicking on the red circles either in the virtual tour or on the layout of boat provided on the right-hand side of the screen. Jarrett Bays inform you that its sister company, Jarrett Bay Yacht Sales, and Bluewater Yacht Sales effectively merged their sales operations on October 1st. Jan Boone will serve as president of the new company and continue to headquarter from the existing sales office here at our Beaufort marine park. Jarrett Bay Boatworks new construction and service facility remains the same strong and separate brand, now with greater sales representation, and we look forward to working with the Hall family and the fine crew at Bluewater! Gold Coast based luxury cruiser manufacturer Maritimo had its most successful Sydney International Boat Show sales result since the GFC with a range of vessels worth a total of $10 million selling during and in the week after the show. And the stand-out success for the show was the world debut and sale of five of the new M45 cruising motoryacht. Other sales included the M58 cruising motoryacht, with its luxurious full beam master suite, at more than $2 million, an M48 cruising motoryacht at $1.4 million, the 470 cruising motoryacht at $1.3 million, a Mustang 50 valued at $1. 1 million and at the bottom end of the spectrum a Mustang 32 sports cruiser at $250,000. Maritimo sales and marketing manager Greg Haines said the Sydney show was a great success. Mr Haines said the M45 cruising motoryachts success was in part because of the fact it can be delivered with either shaft drives or IPS without compromising the cabin layout. Maritimo has three upcoming ‘Cruise in Company’ events which will see Maritimo and Mustang owners around the country come together to socialize and enjoy their boats. A Mustang Muster is planned for Sydney Harbour on October 21 hosted by SBM Maritimo; a Maritimo Muster WA will be held on November 10 and 11 hosted by Yachtswest and another Maritimo event will be held at Jervis Bay between November 16 and 18 again hosted by SMB Maritimo. Maritimo has also just updated and expanded our Facebook and Twitter presence and there’s a wealth of information and stories posted. The Moonen 97 Alaska, which was delivered to her new owners earlier this year, has been nominated as a finalist for the ISS power 24-40m award. Alaska is the fourth yacht in an impressive range of steel-hulled displacement cruisers, and her sister ship Livia has also been nominated for various awards. The second in the semi-custom series, Sofia II, will be on display at this year's Fort Lauderdale boat show. The International Superyacht Society's Design Awards are based entirely on peer review and are an annual recognition of the finest naval architecture, design, interiors, engineering and builds. In her category Alaska faces stiff competition from yards in Greece, Italy, the United States and the Netherlands. Moonen Shipyards in the Netherlands has a new agent in Russia. Holland Yachts is dedicated to bringing premium Dutch quality to the fast-growing Russian market, making it the ideal choice for a partnership with a yard that has already successfully delivered several superyachts to Russian clients. Holland Yachts was founded in St Petersburg in 2005 and its director Leo Neumayer has seen the enormous potential of the Russian market continued to grow despite the global recession. With the demands of its clients continually increasing, Holland Yachts was looking for a partnership with a reliable brand that was capable of building yachts over 23 metres. The most recent Moonen to be delivered to a Russian client was the fast displacement Moonen 82 Alu called My Way. According to Neumayer, the success of this project reflects a growing trend among more sophisticated Russian owners. Moonen Shipyards in the Netherlands has signed the contract for a major refit of the superyacht Rusalina. Originally launched in 1992 under the name Xanadu, this classic example of a Moonen 83 will spend the next 4 months at the Moonen yard in Groot Ammers where a dedicated team of specialists will ensure that she is brought fully up-to-date in every respect. The activities will include a comprehensive exterior paint job, the laying of new teak decks, an extensive engine and generator overhaul, and the fitting of new stainless steel features such as anchor pockets and windscreen. Rusalina will also be given new windows and is sure to look as good as new by the time the refit is completed. The interior work will be comprised of system maintenance, the installation of new navigation and communication equipment and a range of cosmetic upgrades. Despite the anything but easy period for the world economy, over the past two years the Overmarine Group has done a considerable amount in terms of investments: researching and designing new technologies; studying on-board volumes in order to achieve maximum comfort; building a new shipyard in Pisa for producing steel and aluminium yachts; new projects, including those for displacement yachts; new professional figures in order to guarantee further growth, also from the organisational point of view; new commercial relations which have opened up strategic markets; and strengthening the Mangusta brand. The following yachts have been sold: Mangusta 165#8, Mangusta 94#1 and Mangusta 94#2. Five years after first being presented and 3 months after delivery of hull no. 7, premièred to the world at the Fort Lauderdale boat show, the sale of the eighth Mangusta 165 confirms that this Overmarine Group model is hugely successful. Able to reach a speed of 40 knots, Mangusta 165 is the fastest fibreglass Maxi Yacht Open ever to be built. Pure lines and a sporty profile enclosed in a smart white hull, she is the highest expression of the Mangusta style, and knows no rivals in terms of comfort, either: her interiors volumes can be compared to those of a three deck yacht of the same size, something entirely unimaginable from the outside due to her sporty lines. Although she was created as a natural evolution of Mangusta 92 and is just under 30 metres in length, thus complying perfectly with the mooring requirements of European marinas, Mangusta 94 is a completely new model. Confidence and peace of mind are critical to the enjoyment of boaters. Sea Ray understands this. That’s why a core attribute of the Company is its industry-leading network of premium dealers more than 400 strong, operating on six continents so customers can count on the best possible sales and service experience no matter where they live or where their boating adventures take them. Sea Ray is pleased to announce that it has added Big Bee Boats & RV to its team serving south central Pennsylvania. The 41-year-old, family-owned dealership in Duncannon, near Harrisburg, boasts a 1-acre indoor facility with more than 100 boats and 50 RVs on display. In addition, Big Bee offers finance and insurance programs to help customers purchase and protect their dream boat, and it has a large boating parts and accessories department with a knowledgeable staff committed to meeting the needs of its patrons. Sessa Marine Brasil, Sessa Marine Group company, has announced during Sao Paulo after one year from the arrival into the Brazilian market positive sales and production results in 2011-2012 and is preparing big news for 2013, with a stronger focus towards customer relationships. Sessa has since 2011 sold thirty units in Brazil, generating over seven million Euros in Sales. 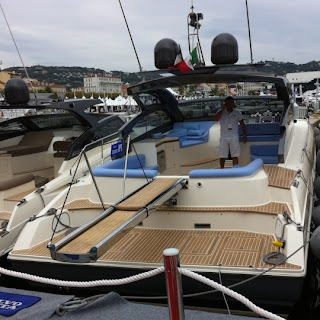 For 2013 Sessa plans to expand the Brazilian facility and the future aims to add the production of the 27, 28 and 36 models with the 40 plus feet models. State Senator Joe Kyrillos a long time supporter of New Jersey's marine manufacturing industries, and recreational and commercial fishermen visited the Viking Yacht Company earlier this week. After a plant tour, Senator Kyrillos who is now running for the U.S. Senate was introduced by Viking's Executive Vice-President, Pat Healey to a crowd of Viking workers. Senator Kyrillos complimented the Viking shipwrights for their skills and the value they contribute to the economy of the state and country. 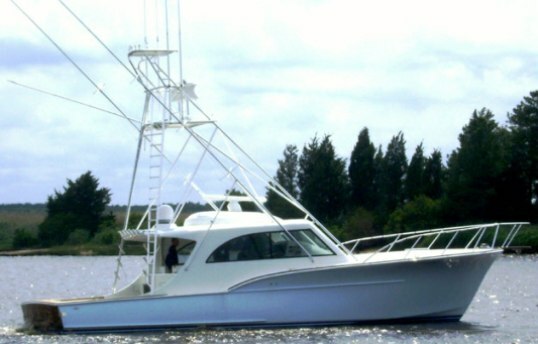 Viking is the world's largest manufacturer of convertible sportfishing boats from 42 to 92 feet. All eyes at South Florida at who clearly demonstrates the strength and commitment of the company with the introduction of the new 55 Convertible, which will be making its world premiere at the show. Powered with a pair of MAN V12 1550 CRM engines, the 55 Convertible reaches speeds in excess of 40 knots and is the leading edge of construction and design with a resin infused hull and a spectacular hand finished teak interior. The AIM Marine Group, which includes Power & Motoryacht, Yachts International and Soundings magazines already have conferred their 2012 Editor's Choice Award on this new model. Wider 42 has been selected by the Design Permanent Observatory to be published on the ADI Design Index 2012 Yearbook, representing the pre-selection basis for the Compasso d’Oro Award, the most influential international design award. The ADI Design Index selections have been rigorously managed by the Design Permanent Observatory, consisting of a commission of more than 100 members (experts, designers, critics, historians, specialized journalists..): the products overcoming the first step of the selection are going to be judged by an international jury which will confer the XXIII ADI Compasso d’Oro Award. The publication on the ADI Design Index 2012 is also a requirement for the “Award of Awards for Innovation” annual selection, sponsored by the Republic Presidency, an award which considers every year three products recommended by ADI and particularly remarkable for their innovative concept, chosen among those published on ADI Design Index. Innovative design, cutting-edge technologies, strong performances: these are the main features of Wider 42’, Tilli Antonelli’s nautical project, born in 2010 and designed by Fulvio De Simoni, which has been able to stand out since her very first entry into the market for her ‘out of the crowd’ concept, related to an automatic patented system which makes it possible to double the cockpit surface and reach an extraordinary stability in just 12 seconds. An unparalleled day cruiser, ready to satisfy a wide range of demands, throughout solutions offering comfort and stability unthinkable until now for boats this size. Horizon from Taiwan is pleased to announce that a current owner of a 2001 E70, will become a second time client with a new E73 currently inbuild. This repeated client signed a contract for a new E73 that will be delivered in mid 2013 and will showcase at the Hong Kong Boat Show. The new E73 will be an open flybridge design with four staterooms and one crew room, powered by twin CAT C32A 1600HP engines and also feature a hydraulic gangway. This client also went for a forward owners stateroom, and small crew cabin with lobby to aft. The E series, known before as the Horizon Elegance was the earliest offered by Horizon and is now the most popular series of the collection and offer a range from 56 to 94 feet with a European flair to the looks coming from Italian designer Tommaso Spadolini. As Prestige has done in its recent 500 and 550 releases, the concept is again followed in the 450 series where alongside the flybridge model, is released the S coupe version for the Express Line. This model follows in all internal layout that of the flybridge sister, with a large sun-roof replacing the helm and extra entertainment area up top. Inside is the much appreciated layout with the nice astern galley, and a separate entrance for the full beam owners midships suite taking prize of innovation in this size. In the web site this model seems not to replace the 440 S at the moment, being the 450 S a more open type sport cruiser this decision does make sense, although I am sure that Prestige will wait for more market indications. Power is from twin Volvo 370 and 435hp engines with IPS pod propulsion with top speed of around 30 knots. Princess present the project of the new 88 Motor Yacht a model which will replace the 85 of the same series. This new upcoming pocket super yacht Princess brings on the style of the lines which was introduced with the 62 a few years back into larger sizes. Princess seem to have pushed this style a lot in recent years especially in the smaller models, although now the attention seems to be moving on the larger sizes. The 88 should in my books share a lot of the bottom from the 85 having the same beam, but in the looks department this is a completely new model especially outside and the downward shear line to mid is a nice distinctive feature. Down below of the 88 Motor Yacht Princess keep its known conservative approach with the appreciated layout of four double guest cabins, full beam midships owners stateroom, with a crew quarters and lobby sleeping four to aft. The main deck also follows a traditional layout with a welcoming saloon dining area, and a seperate galley and helm to fore. 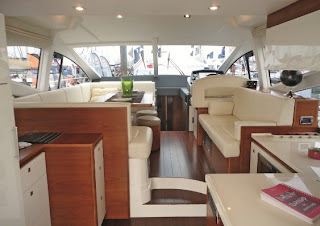 The flybridge of the 88 seems to be more spacious then ever, altough the settee to foredeck seems to be smaller to that of the 85 but gaining two stowage areas to the side. Power options are MTU 1822hp, or Cats 1825 and 1925hp engines. Top speed is 30 knots with the large Cat choice. Atlantis the entry level Sport Cruiser and Yacht brand of the Azimut Benetti Group presents its new web showroom. 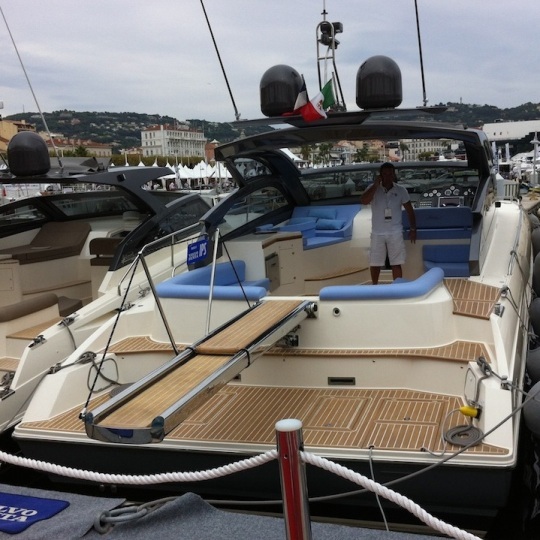 Altantis started is journey in 2002 with the 42, first model of the range presented at the Genoa Show of 2002. Although on facts this is not the whole truth with the brand basically being the following of what Gobbi Boats did since the nineteen sixties, previous to the acquisition of Azimut Benetti Group in 2001. Since 2010 Atlantis has renewed all the range now designed fully by NeoDesign of Biaggi and Salvetti. This new direction was started in 2010 with the launch of the 48, and has concluded this year with launch of the new entry level 34, fifth model made by the new project studio and replaces all the previous models which where for the most part Gobbi designed extensions. 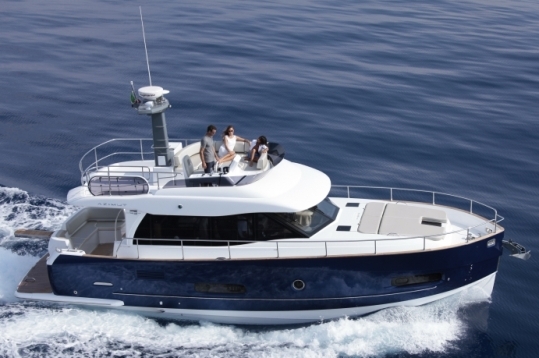 Atlantis current range features six models from 34 to the 58 flagship, and the trend setting day cabin boat 36 Verve. Atlantis new web site is available in Italian and English language, and takes you around with the following buttons; Home, Models, By Azimut, Dealers, Atlantis Live, and Contacts. In the right corner of the screen the new website also features links to the social networks hubs of Atlantis; Facebook, Twitter, and Youtube. Sea Ray presents a new 355 Sundancer which apart the fully integrated hard top is a revolution from the US builder from a certain point of view as it features a very European thinking in its design, especially inside having two fully enclosed cabins. A rare occurance in many US boats under fifty feet, nearly impossible in sub forty sizes. None the less the Sea Ray 355 Sundancer will also be biult in Poland, and it will be interesting to see if the US builder will produce a sister version for its home market with a more open layout. 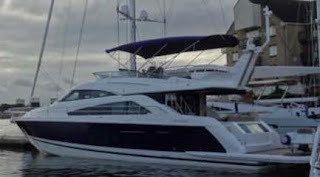 Other nice features in this new Sea Ray is also the aft deck cockpit also very influenced by European design having a single floor deck, C-shaped settee, and large wet bar galley to port under the hard top. Power choice are Mercruise Diesel engines from 260 up to 350hp, with stern drive propulsion. The initial idea was to develop a propulsion system with minimum vibration and noise emissions. The result is a rim driven propeller powered by a permanent-magnetic electric motor. The thruster system requires neither axle nor shaft or gearing. VIPs impress by their prompt steering and can also be retrofitted as propulsion systems or thrusters. If required, the propeller blades can be replaced individually. That is fascinating technology lending itself to a wide variety of applications. Voith Inline Propellers are used as propulsion systems for passenger boats, barges and large yachts. The Voith Inline Propulsor systems are driven by an integrated permanent magnetic synchronous ring motor. The motor windings are housed in the stator, the permanent magnets are housed in the rotor. The rotor is supported by water-lubricated bearings for the radial and axial load. The propeller blades made from Carbon Fibre-Reinforced Plastic are directly connected to the inner ring of the rotor, which eliminates the need for a central shaft or gearbox. The sense of rotation, as well as the speed, is controlled by frequency converters. 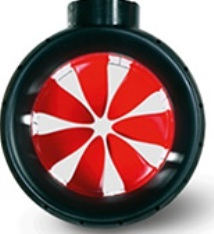 Thruster housings are pressure-tested to verify water tightness and are filled with resin to encapsulate all electric parts and permanent magnets. The Voith Inline Propulsor is available in nine units from 67 up to 2010hp. Fairline presents the new 60 Squadron, a further evolution of the 55 model presented in 2008, which became a 58 in 2011. This model must have been one of the most evolutionized Fairline ever. Nontheless the new 60 Squadron now measuring 63 feet over all, has some important changes which occur in the transom area. That is a big new extended bathing platform, increased aft deck space, and a passarelle which can be ordered to be telescopic and invisible when not in use. This last a feature not much to be found in yachts of this size, and with a high low bathing platform choice. Inside Fairline keeps its very much appreciated layout of the very welcoming and comfortable split level main deck, and a lower cabin area having one of the most spacious full beam owners room in the category. Power is from twin Volvo 800 or 900hp engines. Speed numbers are not yet announced but I would imagine similar 32 knots speed with the big 900 units as the 58. Construction - hand laid uni-directional, woven, and biaxial roving. Isophtalic gelcoat and resin with power pound mat. 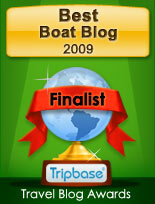 Presented in 2011, the 36z Downeast by MJM comes with important updates and changes for the 2013 build year. The improvements for the 36z Downeast start to stern with a new stepped transom featuring a central easy to operate central walk-in door. Down below is also space for more tweaking now having an option to what regards the shower head which can be ordered with a glass enclosure. Founded in 2002 MJM has been very much acclaimed in recent years for its efficient hulls, and suberbly built down East lobster boat looking traditional cruisers, which also seem not to hurt the wallet as most of the competition. Some MJM models unlike most of the competition in this style of boat are powered by Volvo stern drives, with the 36z power choices starting from twin Volvo 170hp up to 300hp engines. The fall is upon us and winter is soon at our doorstep and it is perhaps time to take your boat into winter storage. Many of you who had plans to change boats for next season have seen the advantage of changing already at this time, as it saves you the time and effort to handle it and instead letting Nord West take care of the refurbishing and placing it in the showroom to sell. Therefore you will find many boats in our harbor at this time waiting for their turn in our refurbishing department, thus giving you a perfect chance to seatrial the models you perhaps are interested in. If you have any specific model you are interested to test please contact your sales contact at Nord West and Najad to make an appointment before all boats are taken out of water. We would also like to mention that we have many new exciting brands for sale if perhaps a refurbished second hand boat could interest you. Nord West welcomes you to stand A1 A260 at the international Hamburg show on the 27 to the 4th of November. Exhibit boats will be a new Najad 440CC and a Nord West 430 Sports Top. Nord West will have the show room open on Vindön on the following Saturdays. We will have new Najad sailingboats, new Nord West powerboats and refurbished second hand boats on display and for sale. The opening Saturdays are 20 and 27 October, and third November. Nord West is very excited over the launch of its webshop with boat equipment and spareparts and accessories. The assortment will increase as we come along in time. Create your own login and order goods with delivery all over the world. During last season’s second hand boat sales from August 2011 till August 2012, Nord West sold second hand refurbished boats for 131 million SEK. 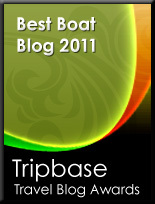 In our website you can look at which boats were sold during the last year. With the sales we already have had during this fall we are optimistic that the coming year will be at least as good and hopefully better. Nord West is happy that it now has more than 23.000 Likes on the official Nord West & Najad AB facebook page. Fort Lauderdale, Florida, the "Yachting Capital of the World" will host the 53rd Fort Lauderdale International Boat Show on October 25 to the 29, 2012. Show exhibits range from yacht builders and designers to exotic cars and brokerage yachts. A wide variety of boats and sea vessels will be on display including runabouts, sportfishers, high performance boats, center consoles, cabin cruisers, flats boats, skiffs, express cruisers, sailing yachts, motor yachts, bowriders, catamarans, ski boats, jet boats, trawlers, inflatables, canoes, and extraordinary superyachts. Covering six locations and over 3 million square feet of space, the show's transportation network of bus shuttles, water taxis, and riverboats ensures attendees can easily navigate the boat show and its expansive waterways system. Added attractions include The Blue Wild Dive Show, IGFA's School of Sportfishing and Hook the Future's Kids Fishing Clinics. World first will come from the following builders; Hatteras GT63 Enclosed Bridge, Sea Ray 355 and 510 Sunancer, Tiara 3900 Coronet, and the Viking 55 Open Bridge Convertible. Since new ownership came along Dale has been very busy showing new projects, with a flare dedicated to the down East lobster boat. This Dale 56 so far shown in project design will be the new flagship of this respected builder, and takes a lot from the acclaimed exterior looks of the 45 and presenting them in a bigger package. A unique feature in this Dale versus the other smaller models will also be the location of a tender garage under the cockpit sole of the aft deck. So far Dale has not announced any layout plans but here it says the 56 Classic will be very open to customization. Engines and performance are also not announced but I do again imagine similar numbers to the 45 Classic with top speed figures starting at late twenty knots figures with the small engine choice up to mid thirties from the largest. Canados presents the new 120 Enhanced, a further evolution of the 110 and 116 series model from the famous central Italy boat builder standing on the coast of Rome and building yachts of various sizes since sixty years. The new Canados 120 takes the flagship crown of Cantieri Navali di Ostia, it is also its largest fiberglass build, although the builder did construct a wood two deck and a half 120 in the mid eighties. The Canados is not only an evolution in size to the 116 series but also improves the technological prowess of the yacht with swiveling balconies and opening side doors being main characteristics of this project. Another impressive feature not found in the previous models is the hard top, and a beach stern with garage. Inside Canados philosophy continues of a free to customer choice with options from four to six cabins, and an owners stateroom room to midships or to fore on the main deck. Speed is a max of 27 knots with twin MTU 2600hp engines. Debuting at the 2012 Fort Lauderdale Boat Show, is the new Horizon E56, an updated version of the 2011 launched 54 with longer swim platform. The new E56 was recently sea trialed in Taiwan and performed exceptionally well. As stylish as she is efficient, this 2013 Horizon E56 unites a modern design with a functional and comfortable interior layout. The wide over 4.5 meters beam provides three spacious staterooms, including a full-beam master, a fully-equipped galley, salon with dinette and custom lower helm on the main deck. 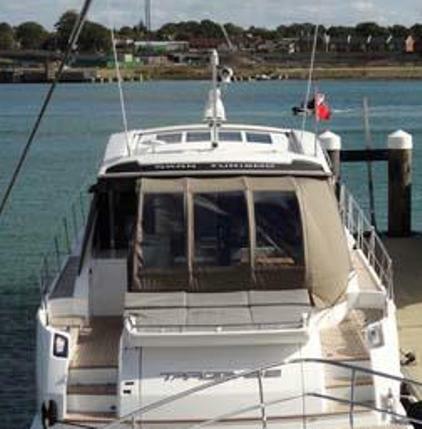 The E56 is now also available with a custom hard top for the flybridge which really suits the line. 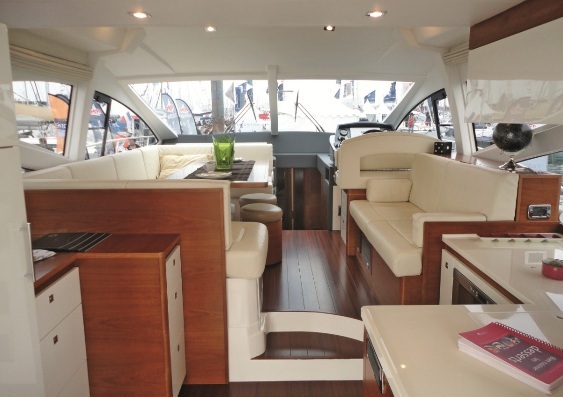 The hard covers all the flybridge ensuring a great entertaining space for any occasion. The hydraulic hi/lo swim platform creates an ideal outdoor activity area for tender storage or water sports. The E56 is powered by twin Volvo 700hp engines with IPS pods dives. 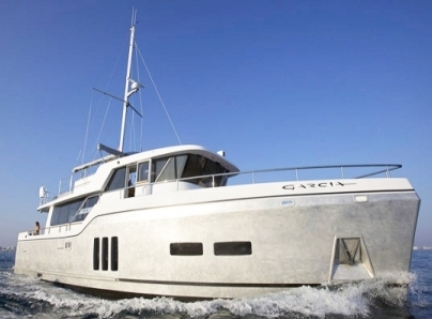 In its sea trails the E56 reached a top speed of 32 knots under half load and with 14 persons on board. Following with a styling which was started with the 58/60 flagship and followed with the 50 and 55 feet models in recent years, Prestige presents the project for a 450 Flybridge. Designed as all the line by long time collaborator Garroni this Prestige will replace the long standing and succesful 46 model. Unlike it predecessor which offered a three lower deck choice though the 450 Flybridge will offer two large cabins only with a full beam midships located owners cabin being one of its most attractive features, thanks also to the uniqueness in this size of a separate entrance. The main deck also follows the layout of the larger models with a nice astern galley being another of the design solutions I like. 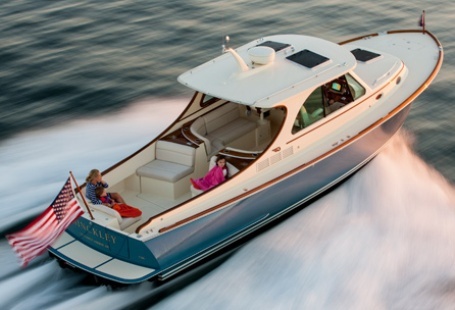 Power for the new Prestige 450 Flybridge is twin Volvo 370 or optional 435hp. Prestige is estimating top speeds of 33 knots with the large optional choice. Winner of the Boat of Year award in its launch date in 2008, Fiart went to Cannes presenting a new update design to the hard top of the 4Seven Genius, what was the first model of the new generation models, reconized by the agreesive dark one piece windhsield and hard top, later on followed on the 4Tfour and 58 Epica. This improvement to the 4Seven Genius is most visible in the sides and improves all around visibility for the helmsman and creates a more protected area for the passengers. The 4Seven Genius was the second Fiart availble with IPS pod drives, following the option of the 50 model, and features three seperate cabins below plus galley and saloon. Outside the 4Seven Genius impresses thanks to one of the largest single floor aft deck spaces in the market. Speed is a max of 32 knots. 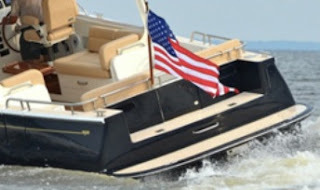 The Hinckley T34 is a new model from this legendary US builder and creates a bridge between the T29 and renowned Picnic Boat now in its Mk.III series. This new 34 Talaria impresses for its cleaner lines, single floor cockpit deck, and a well laid interior cabin sleeping two. Down below is also a galley to port and a seperate shower head opposite The amenities of the Hinckley name as superb finishing and unique construction are usual to be found in this new model. The T34 will feature a very low water draft of under two feet, but still having a deep 19 degrees deep Vee hull. 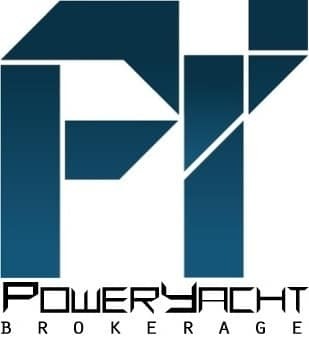 Power is from standard twin Yanmar 260hp which give a max speed of 32 knots, while larger Volvo 300s add an extra 3 knots of wide open throttle, and 2 of cruise. Fairline presents the new 62 Targa GT, the flagship of its very much known sport line series. This new 62 Targa GT is a further development of the 2010 introduced 58 model and gives more to the Mediterranean user thanks to a stern extension; this adding a large central sun pad having tender garage underneath, plus a high low bathing platform. This change also makes possible for the 62 versus the 58 to carry up to two well sized tenders. 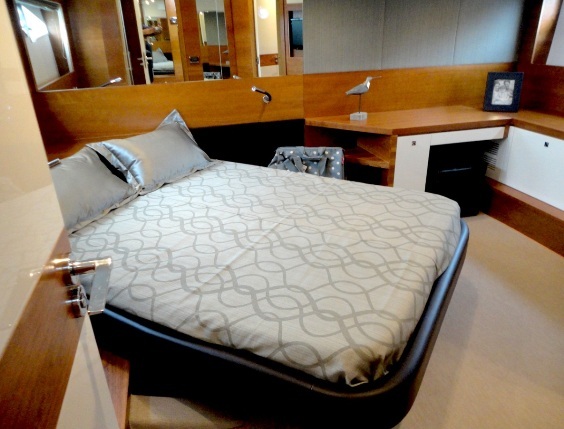 The interior of the 62 Targa GT remains the same praised layout of a forward owners stateroom, and two guest cabins to midships. Crew cabins is to fore, and Fairline as stated in the Project news is at this stage still thinking about the aft crew cabin option. Unless this is not so much a big job, I would leave it to customer preference and an optional. Living is all on the main deck. Power is from twin Volvo 800hp up to MAN 1200hp. Construction - hand laid gelcoat and glass fibre with unidirectional,woven, and biaxial rovings. Isoftalic gelcoat and resin. Couach yachts from France continues its pursuit to revive its line and presents the new entry level project of the 1300 S Hornet, a fast walk around day cruiser, with large exterior which takes 2/3 of deck space and featuring a small cabin for two to fore. This new Couach project means also serious business on the hull design, being based on a military shape of the 1300 FIC Interceptor. The 1300 S Hornet exterior deck layout features a central sun pad aft, two opposite bench seats, and a central console covered with a hard top. Power is twin heavy duty 800hp MAN engines which give a top speed of 55 knots and a cruise of 40. Announced in 2010, this Baia new range Sevolution shows the innovative spirit of this Italian, Naples boat builder. Now Baia goes more into details showing in its recently new web site the two models of the range the 26 and the 30. The one pictured above is the 30, and will feature the innovative semi displacement shape designed in coperation with Naples Federico university as announced two years ago. The 30 Sevolution will also be a three deck super yacht, something very fresh from Baia considering that the real flybridge they built was the custom one off 105 in early ninties. By the way for those that don't know Sevolution is acronym for Sea Explorer Vessel Evolution. 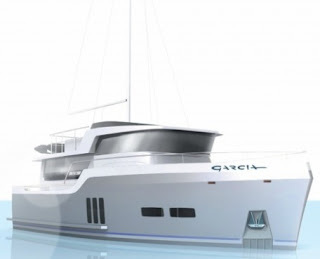 Baia has so far given very little interior planning details for the 30 Sevolution, but as announced a very custom approach should be inline in the models along with a layout of cabins more similar to those of a house. Top speed are expected to be of 22 knots, with a cruise of 18 and economic of 16. Hybrid propulsion will be available, along with high use of solar panels, and RINA Green star certification. CNM presents its new virtual World wide web showroom. 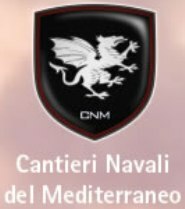 CNM acronym for Cantieri Navali del Mediterraneo was founded in 2003, and is part of Group H1 Holdings. Its boat building premises are located in the outskirts of Rome, short distance from the Italian capital, and from Fiumicino central airport hub. CNM launched its first model, the 80 what is a hard top super sport yacht in 2006, which was followed by the innovative and modular 50 model in 2008, and the 50 Tender in 2009. This year 2012 CNM launched its new 43 model. CNM has in the last years also introduced a full expansion plan of four other models which includd a new 100 flagship, and an entry level 33. 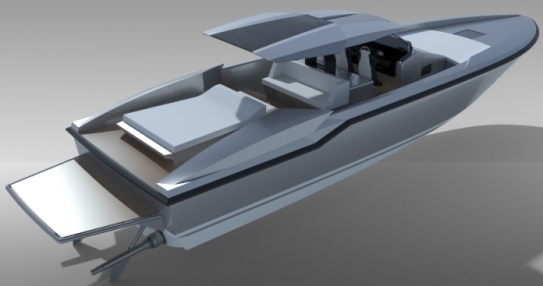 CNM boats are designed inhouse with architect Fabio Bronda. CNM new website takes you around with the following buttons; All Models, Gallery, Shipyard, Shows and Events, Press Releases and Contact Us. As is custom today CNM new web showroom also features links to the companies Facebook, Twitter pages, plus a down to a PDF brochure. Summer launch and world premiere in September for Queens 50 Fly, the new model of the Italian shipyard from Rosignano, in "Le Grand Pavois" at La Rochelle France: thanks to the collaboration with its exclusive area dealer. The experience of the TDF Studio of architects Locarno and Vienna from Milan, led to a design of modern impact. The 50 Queens Fly although being a flybridge yacht offers a sporty, elegant silhouette characterized by large windows, and a fly that although generous in space does not create discontinuities in the line. The Milan architects choose a modern interior following latest design trends; from a split level saloon with astern galley, and a lower deck with three double cabins served by two shower heads with full beam owners suite. Interesting below in the middle and between the cabins is also a small dining area. Power is twin Volvo 435hp with IPS pod drives. Interesting the technical area of the Queens 50 Fly is also very spacious offering easy inspection and maintenance. 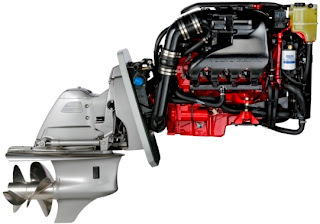 Volvo Penta announces a new V8-380, an intensely powerful engine that combines efficiency, strength and durability into a state-of-the-art package that delivers on performance and exceeds EPA/CARB requirements. Volvo Penta’s advanced technology and design innovation combine to give the V8-380 more horsepower with 12% less fuel consumption. The engine includes other key features such as Variable Valve Timing, optimized for maximum low end torque and high end horsepower, and more than 270 pounds of weight savings, making it faster, lighter, and more efficient than the competition; all while still only requiring 87 octane fuel. Tough enough to haul a heavy boat, the V8-380 is also the same engine currently used in GM’s current truck line up, and is considered the most durable Volvo Penta has ever launched. Advancements such as an aluminum exhaust system as part of the complete freshwater cooling system provide additional durability, protection from corrosion, and savings over the life of the engine.